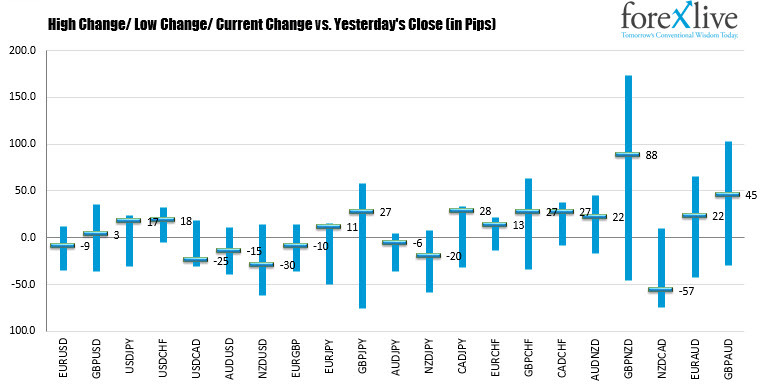 Nost of the major European stock indices are ending with gains. The exception being the UK FTSE which declined ahead of the important vote of no-confidence later today. In the 10 year note sector, yields are ending mixed. In the US debt market, yields are higher in the short end. The thirty-year bond is trading near unchanged from yesterday's close. 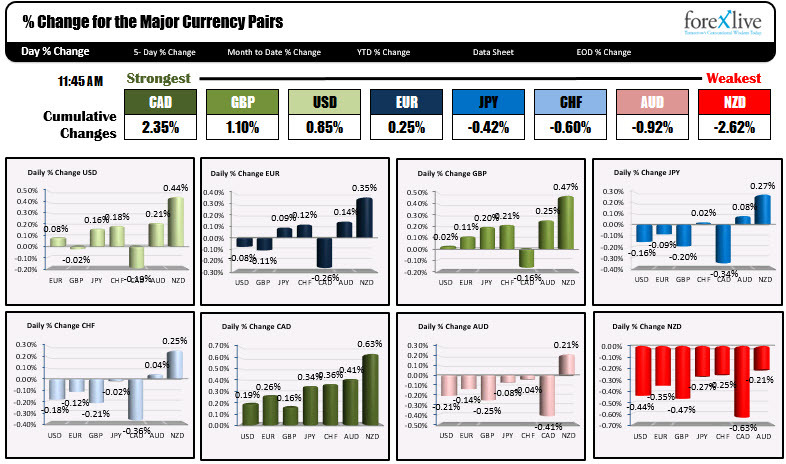 Near the end of the European session, the CAD is now the strongest of the major pairs, the NZD remains the weakest, but off the weakest levels on the day. The USDCAD trades near the lows for the day. The AUDUSD and NZD are off lows as it the EURUSD. The USDJPY broke to a new high in the NY morning sesion but then quickly moved down about 23 pips on the failed break. The price has since rebounded back to the highs (go figure).